Moalboal Town is located in Cebu Province of the central Philippines. Cebu Province is popular not only for its white beaches, islands and turquoise waters but also for its popular products including Cebu furniture and mango products. You can get to Cebu easily even if you came from other countries with either direct or connecting flights. Cebu-Mactan International Airport is the second busiest airports in the country-where you will land. Where the airport is located is itself a tourist destination in the province. Anyhow, if you are going or planning to go to Moalboal, this is the right page that will guide you. Getting to Moalboal page provides you guides to the main transports that will bring you to that amazing beach area. The best way to get to Moalboal or to any beach resorts you want to stay in that area is through Cebu City (or Cebu Mactan International Airport). And, to get to Cebu City you need to CLICK HERE to bring you to that guide page on this site. In Cebu City, the provincial capital, you can get around four types of transports for Moalboal. You take a bus, van, taxi, private vehicles, or even a motorbike. Another good reason to come to Moalboal through Cebu is that Cebu City does not only offer various transports but also anything you might need for your vacation or adventures in Moalboal. For example, you can buy or shop your tropical wears (such as hats, sunglasses, shirts, underwears, swim wears, sun cream, etc. ), apply for your documents at your consulate, get cash from your bank account or from an ATM, among others. Other information you might need can be found through some pages in this website. Just search for them through the search box located at the top and right hand side of this page. Okay, without any further ado, let’s see the transports available for your Moalboal trip. This is the preferred transport if you want to have more spacious and better ride for Moalboal. If you come from the Mactan Airport you need to take a taxi (or any vehicle if available for you) to Cebu South Bus Terminal in Cebu City. It will cost you around Php250.00 to the terminal. 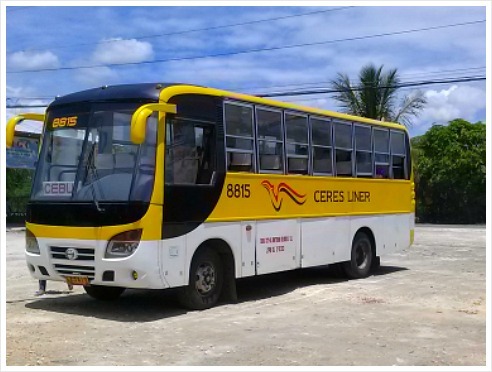 It takes almost 3 hours to get to Moalboal via Ceres Bus (yellow big bus). The rate should be less than Php150 (2014), much less than a taxi from the airport to this station. The view is nice since you will be taking the road by the seaside passing through towns and many sites. You can hire a Taxi Cab for Moalboal Town if you want to ride a non-stop ride. However, you need to negotiate well with the driver (not with a porter) for your direction and rate. The normal price for a taxi ride is around Php3,000. You can take a van in various places in Cebu that goes to Moalboal. One of the places is the van terminal at SM Department Store in Cebu. You need to take a taxi from Mactan Island (if from the airport) to get to SM. But the better way is to request for a pickup service via your resort/dive shop especially when you have lots of luggage or a big group. The rate for this service is about Php3,000. The rate is almost similar to hiring a taxi. If you took the bus from Cebu South Bus Terminal, then you need to take a shorter ride as you arrive in Moalboal Town—a tricycle ride to your resort, which is around Php50 for Panagsama Beach area. 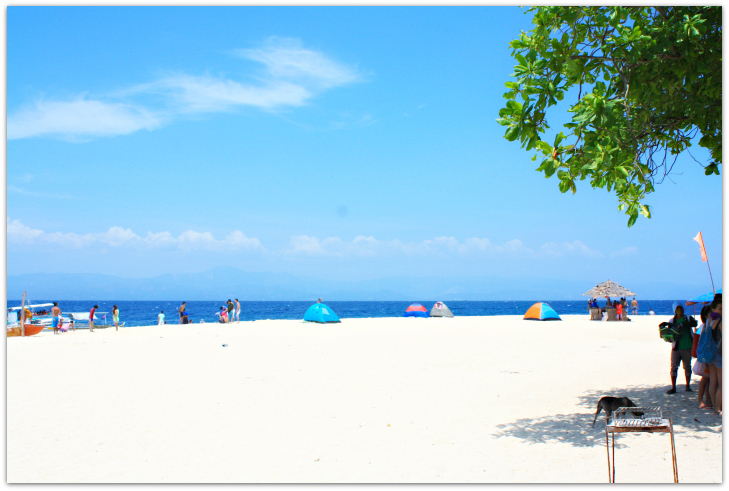 To get around Moalboal, you can take a motorbike ride which is about Php150 to White Beach (Basdaku Beach). Another ride is the “habal-habal”—a single motorbike that takes more riders and only best if you don’t have much luggage. This will cost you more than Php10.00. Thanks for visiting this site and hopefully this provides you some help or guide to the island’s travel and vacation resources, among others. Please, feel free to offer suggestions for improvement and better service for other users of this site.